Digital Workshop Center is a staple in the Fort Collins Community. 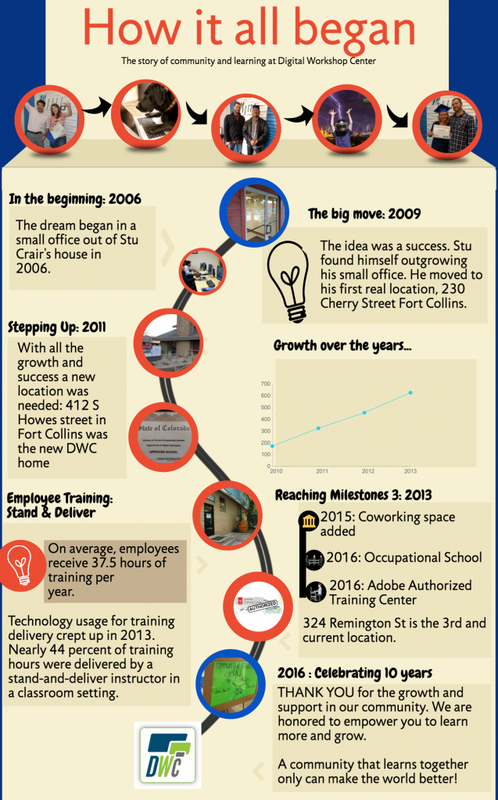 As Fort Collins has evolved over 10 years, DWC has been right here growing too. It all started in 2006 with a vision of disrupting the education model. Stu Crair wanted to offer a way to learn that truly impacted the student. Ten years later, Digital Workshop Center has proven the live instructor model to be effective.